Vehicle defects can play a significant role in the cause of a car accident. 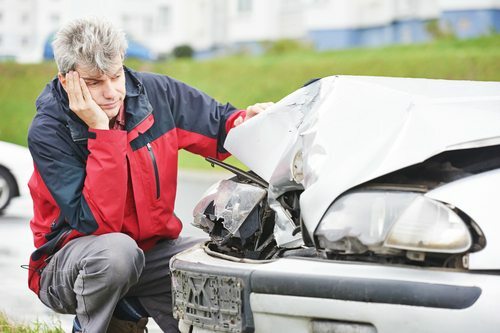 Here are several defects to look out for in order to prevent a collision before it occurs, and what to do if you or a loved one were involved in a critical auto accident. Steering problems that cause a vehicle to veer to the right or left without warning can easily cause an accident. In the case of the 2012 Ford Focus, this potential defect occurs at freeway speeds, meaning that any accident that does occur as a result of the defect is likely to be more serious and possibly even fatal. Make sure your steering reacts appropriately at all speeds. If you suspect any issues, have your car inspected by a mechanic who is familiar with handling manufacturer defects. Brake failure is one of the most concerning defects. The 2012 Chevrolet Cruze was recalled for a brake system defect, where the brakes in several models malfunctioned, particularly in vehicles placed in reverse. Have your brakes inspected and serviced regularly, and ask your mechanic to double check for potential defects in the braking system, especially if you’ve just purchased your vehicle. Another potential defect is a problem with cruise control. When placed under cruise control, a vehicle may waver in speed. This was the case with the 2007 Toyota Camry. The 2009 Camry also had a different type of cruise control defect, where the vehicle would suddenly accelerate upon initiating cruise control. Monitor your car’s cruise control behavior and notify your mechanic or car manufacturer if you notice any problems. Sometimes, accidents aren’t just accidents — they’re caused by a known vehicle defect, which may have been preventable. If you or a loved one have been injured in a crash that may have been caused by a vehicle defect, contact an experienced car accident lawyer as soon as possible. At the Slonaker Law Firm, we can investigate the circumstances surrounding the accident and help you determine if you have a case against your vehicle manufacturer. Call today for a consultation at (352) 629-6656.